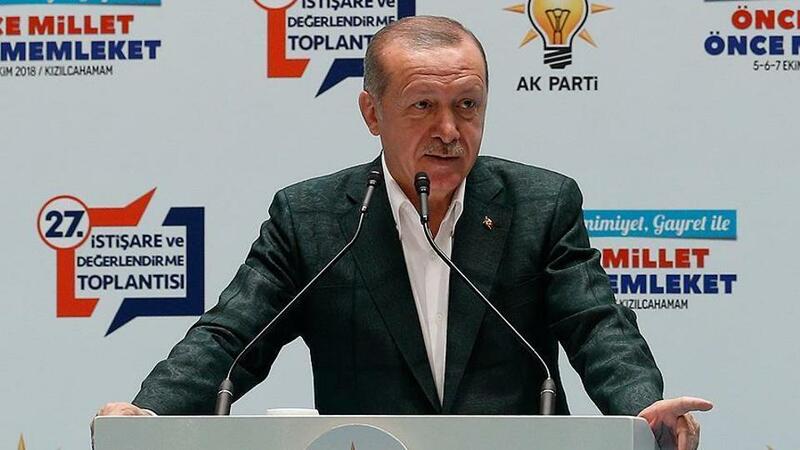 Turkish President Recep Tayyip Erdogan says Turkey is open for business, but not at the expense of the country’s sovereignty and future. President Recep Tayyip Erdogan on Saturday said that Turkey underwent major reforms and radical changes in a short period to tackle difficulties. “To overcome [economic] hardship we have implemented and undergone major reforms and radical changes swiftly, that in normal circumstances would have taken years,” he said at the governing Justice and Development (AK) Party’s consultation meeting in Kizilcahamam district of the capital. Erdogan added that by saying an increase in the exchange rate is not only due to economic reasons, Turkey did not try to escape responsibility but was only assessing the current situation. “Of course, Turkey is open to all kinds of investments, support and contribution as long as the price to pay for this is not eyeing on our country’s sovereignty and future,” he said. Erdogan stated that Turkey asked for investments during official visits to foreign countries, but never asked for money. “We will achieve our country’s goals with our own solutions, our own programmes,” he said. Erdogan added that Turkey is among the countries with the lowest public debt to national income ratio. The Turkish president said that as long as he is alive, no international organisation will be able to “put Turkey under the yoke“. Erdogan said that Turkey will eliminate all terrorists and give them a befitting response for their attacks. On Thursday, in the southeastern Batman province, an improvised explosive planted by PKK terrorists detonated when an armoured military vehicle passed through, killing eight soldiers. Erdogan expressed his condolences to the families of the soldiers. “Those terrorists should know that they will pay the price for that with at least 800 [terrorists],” he said. “We will also finish them [terrorists] in Qandil and Sinjar,“ he added. “They [terrorists] will never have the strength to destroy the peace and prosperity of this nation,” he added. In its more than 30-year terror campaign against Turkey, the PKK — listed as a terrorist organisation by Turkey, the US and the EU — has been responsible for the deaths of nearly 40,000 people, including women and children.